I know I´ve been a little absent lately but the work and the bad WiFi has been my problem for update. So today I am going to publish double post for today. First I want to share this share short review about a product that I´really liked and I am talking about this single eyeshadow from the korean brand Skinfood. Sometimes I like buy single eyeshadows because I want a particular eye shadow that I guess I need in my life despite a full palete. And this is the case, I found this cute single eyeshadow in a offer just per $3.5 USD from a safe webstore so the product is original and I found that the color is really cute. 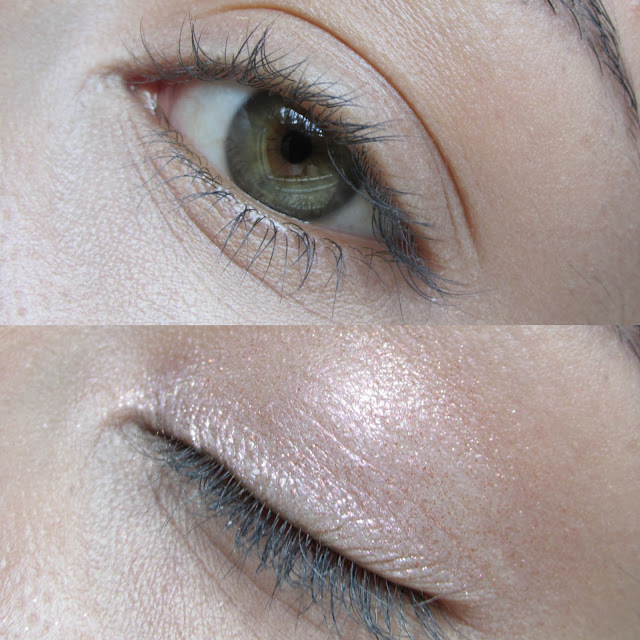 This eyeshadow is a shimmering one and the color provides a lovely and cute glow. I love it the single eyeshadows and this time this single eyeshadow from Skinfood I did a good investment the color is really pigmented and I love that. the color is long lasting even without primer and that is a good point. Even when this is a shimmering color the texture is really soft and the particles are super tiny so is super easy to blend and look really pretty. I love it the soft glow in my eye and is perfect for highlight some parts of my eye. I am not sure If this serie of mini single eyeshadows are discontinued but they are really cute and and the price that I bought this eyeshadow was only $3.5 USD in a great offer so I am happy with the result. I highly recommend this eyeshadow. I like this shade, I've never seen this eyeshadow anywhere before. This sounds good! I like eyeshadow singles when I'm looking for a specific shade. I like how soft and subtle the color is! The color is so bling!! I'm obsess! !